For his latest cartoon, Badiucao comments on the recent release of human rights lawyer Gao Zhisheng amid concerns that he would continue to face strict surveillance and harassment. Gao served three years in detention on suspicion of “inciting subversion of state power,” after being repeatedly detained and mistreated in recent years. Gao has handled a number of politically sensitive cases, including those involving underground Christians and Falun Gong practitioners. 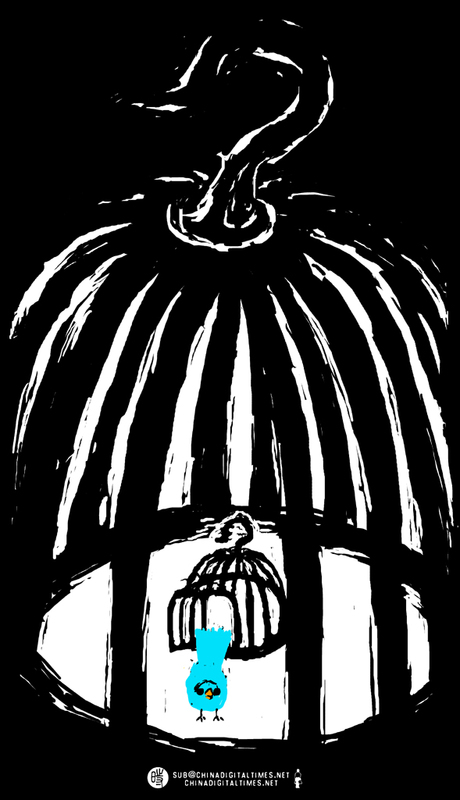 In Badiucao’s image, Gao is a bird (reminiscent of the Twitter bird), leaving a small cage only to find himself trapped in a larger cage. Read also a CDT Q&A with Badiucao in which he discusses his artistic and personal influences. All Badiucao cartoons for CDT are available here. 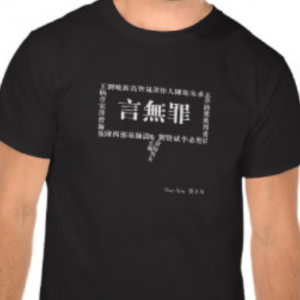 See also exclusive CDT t-shirts with a Badiucao design, for sale on our Zazzle store. 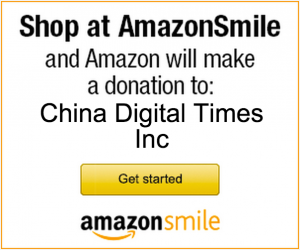 Read more about Gao Zhisheng, via CDT.